Finely tailored and subtly accented, the FlatIron Gramercy Embroidery Sham adds understated elegance to your décor. Smooth cotton percale provides the perfect background for intricate, geometric embroidery that frames the face of this modernly-styled sham. 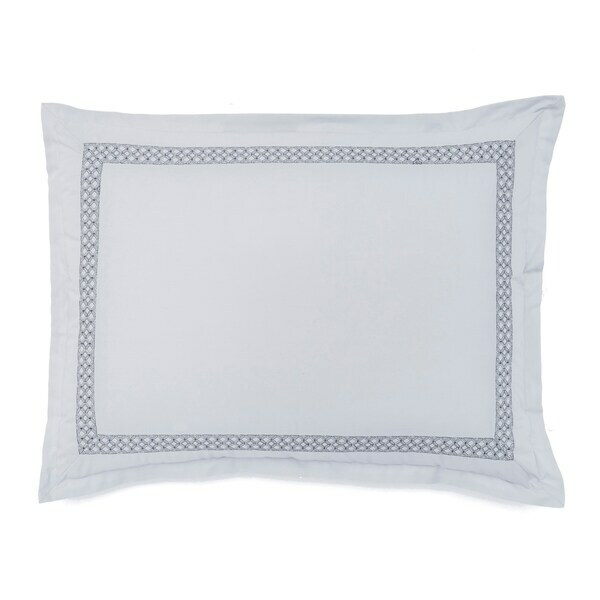 The FlatIron Gramercy Embroidery Sham is offered in Quiet Grey. Includes one sham. Insert not included. Designed to coordinate with other styles within the FlatIron Bedding Collections. Dimensions 36.0 In. X 20.0 In. X 1.0 In.